Samsung is often considered as the King of the smartphone world when it comes to displays. There is no speck of doubt that Samsung makes beautiful displays be it for televisions or their smartphones. It is because of this title that the industry giant, Apple, boasts Samsung made displays in it’s XS and XS Max devices. Samsung has had a good history with its devices and their displays. Ever since the Galaxy S6 Edge (introducing an industry first curved display) to actually eliminating the bezels in the S8 and S8 Plus (continuing it for the S9 series and the note series). Since then, it has been almost a year, the S9 was released, it is almost time for the next rendition of the phone. 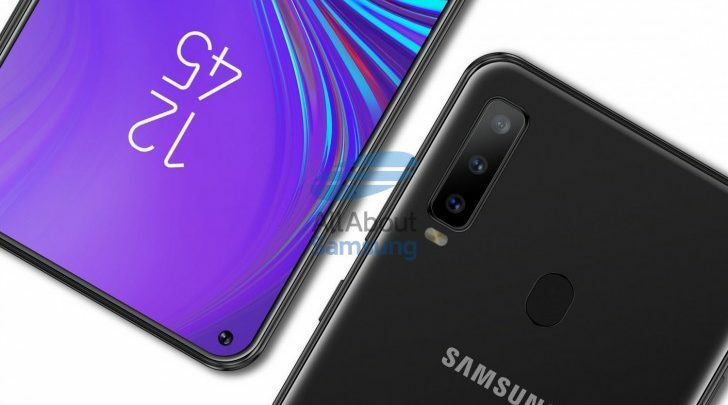 The trend follows and the A series headliner, the A8s in this case, will be launched first, setting precedent to what the final product of Samsung’s flagship may look like or be originated from. If attention is paid on the design, perhaps a very futuristic look can be seen. A minimum amount of bezels on all sides with reports of the 3D render to be boasting a 1mm bezel on all sides (as tweeted by Ben Geskin). Other specs have not been released or even leaked as yet but an article by GSMarena a couple of days ago claims that they predict the device to boast a Snapdragon 710 chipset. Another main feature that is pretty apparent from the render is the triple camera setup on the back. 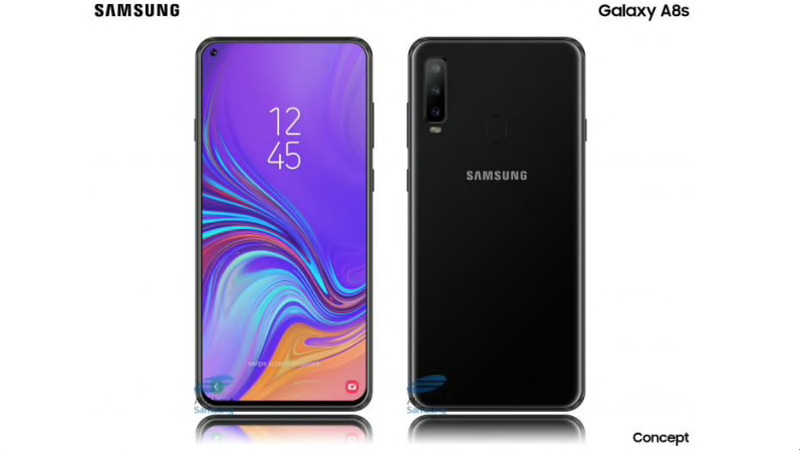 This happens to be one of the biggest rumors (along with the infinity display) about the upcoming S10. Coming back to the display, the headlining feature. Dubbed as the Infinity-O display by Samsung, it gives the phone a very modern look. Minimum bezels and a little lip on the bottom to house the cabling for the display. Another thing to be noted is the camera spot on the top left corner. Perhaps they are ditching the dual camera setup on the front to keep the aesthetics of the entire phone. While some may find it a pretty approach by Samsung, it may be seen as an eyesore by some. Yes, it is true that the phone does not have a notch but a notch is something that is attached to the bezel. It is an extension of it. Going back to the point being that this is after all a render based on leaks and no official releases. The phone could be entirely different for all we know. Perhaps it may not even boast the final version of the Infinity-O display which may be expected on the base S10, only time will tell.